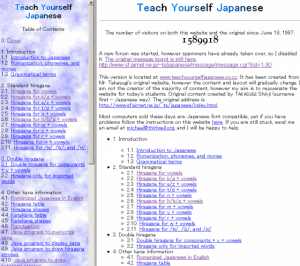 This is a useful site for people who are just starting their Japanese language study, and for people who are studying alone. It has introductory level kana, vocabulary and grammar explanations. The site is categorised in detail, so it's easy to search for what you want. 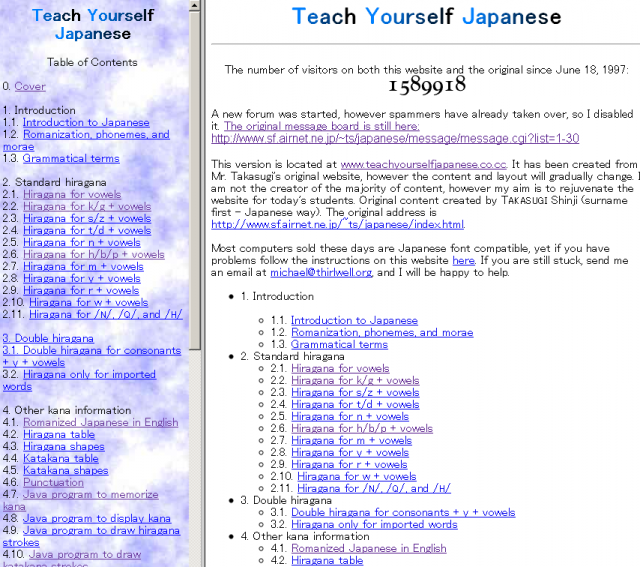 Starting with a brief outline of the Japanese language, the site has a romaji chart, plus explanations about pronunciation and terminology. 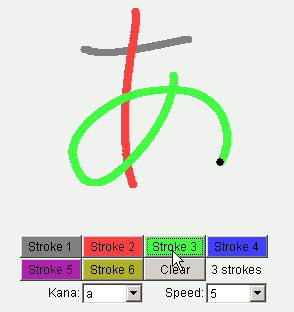 You can check in a visual way how to write the kana. 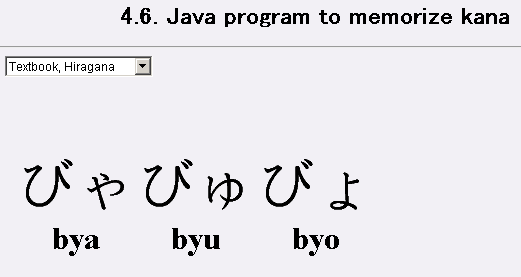 You can take a simple quiz to help you memorise the kana. 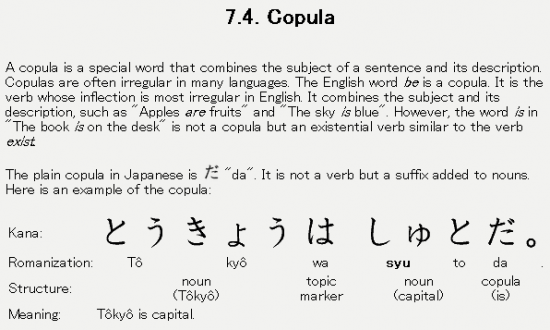 If you are someone who wants to begin learning Japanese, or if you have just started out with your studies, you might find some helpful tips in our "e! Kore" article Start learning Japanese from zero.